I’ve seen some posts online from people who claim to be missing their Yahoo mailing list tool. 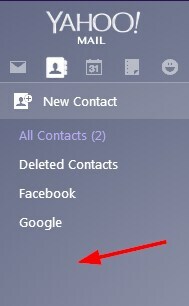 For some strange reason, Yahoo Mail collapses the contact list area, preventing you from creating a contact list, or group, or mailing list, or whatever you want to call it. When you have a list created, it does show up, but if you don’t already have a list, the text box that lets you create a new one is gone. This is the case in Firefox, Chrome and Opera as well. The solution is simple! Go into your contacts, and select ONE contact. You should now see the “Assign to Lists” button, click that and create your list.